Once MultiWii is flashed onto your controller board, you need some way of tuning the different settings and parameters to get your multirotor flying just right. That is where the MultiWii GUI comes into play. 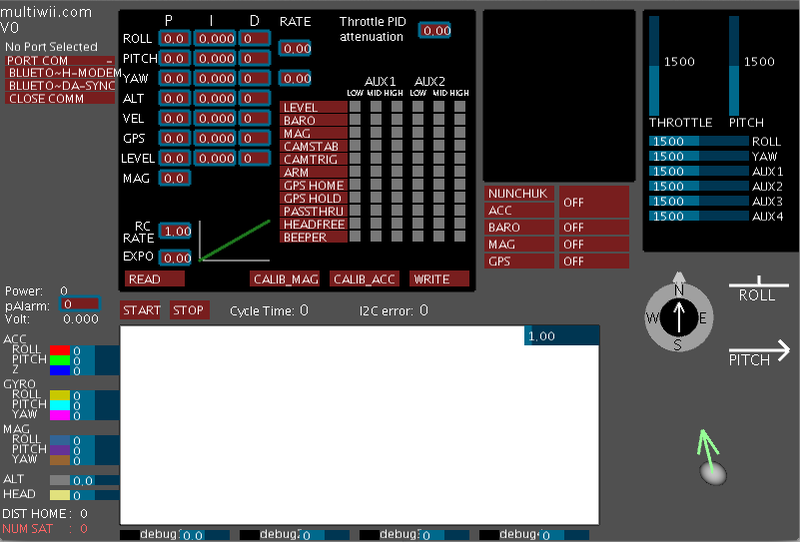 The GUI (Graphical User Interface) is a Java based application that works on any operating system and allows the user to adjust certain settings on a multirotor via a USB connection. The following tutorial will cover how to install the GUI on your operating system. launch the application without having to dig through subdirectories.